Home Health Compare has information about the quality of care provided by “Medicare-certified” home health agencies throughout the nation. “Medicare-certified” means the home health agency is approved by Medicare and meets certain federal health and safety requirements. 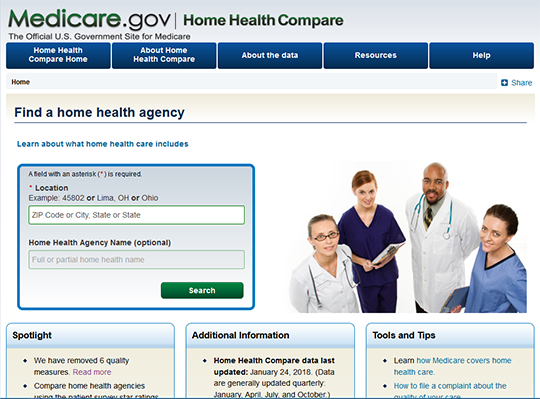 Home Health Compare provides information on how well home health agencies care for their patients; how often each agency used best practices when caring for its patients and whether patients improved in certain important areas of care; and what other patients said about their recent home health care experience.